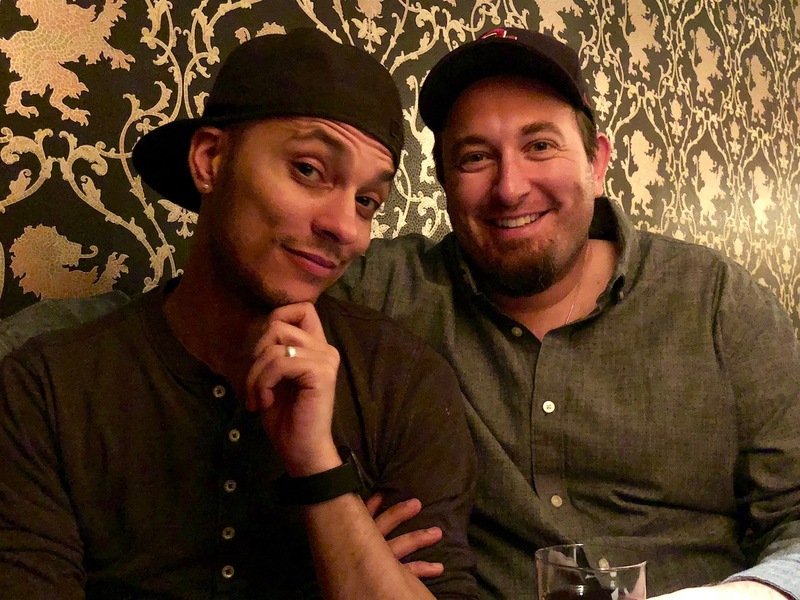 It was boys night out and we were having some carnivorous urges, so we headed out to the neighborhood gem, Arthur Henry’s Ruby Room And Supper Club. We had heard about this place from a few different folks and actually stopped in for a drink a couple months back, but hadn’t had a chance to eat here, yet. 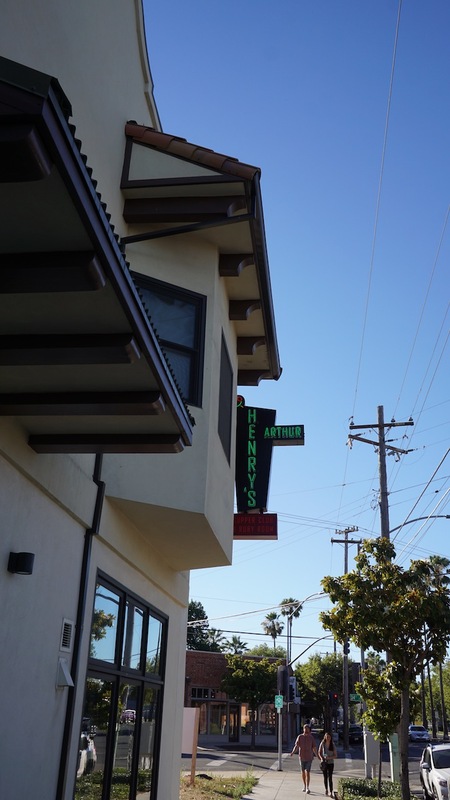 Located in the heart of the up-and-coming Broadway Triangle area of Oak Park, their menu features raw steaks which you cook on the communal grill in the middle of the restaurant. 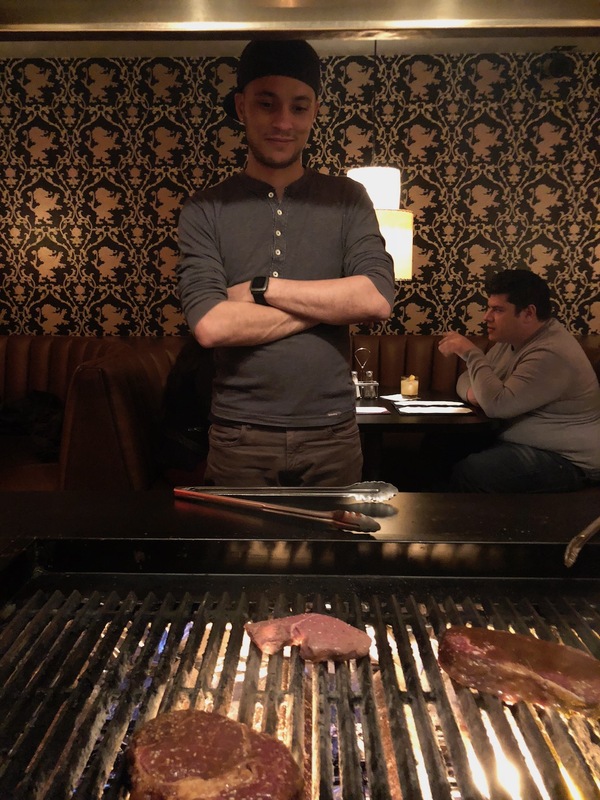 It's a very fun and interactive experience that allowed each of us to have some fun trying our hand at cooking our own steak while enjoying a drink and socializing with the other guests. 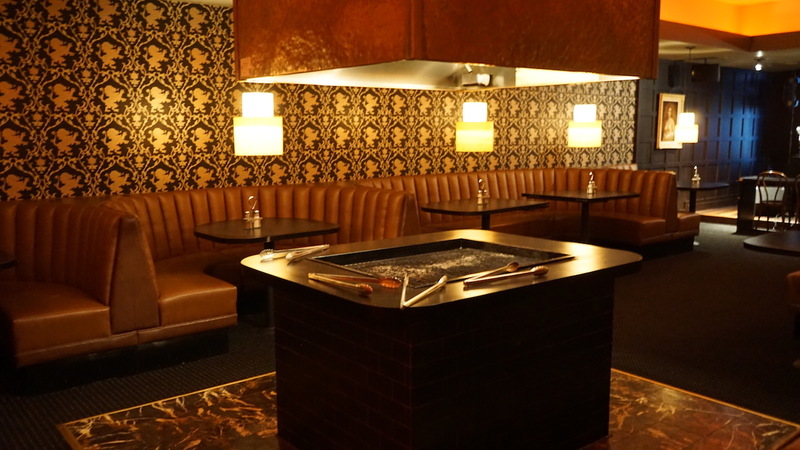 As soon as you walk in the door, you know this place has got something special going on. 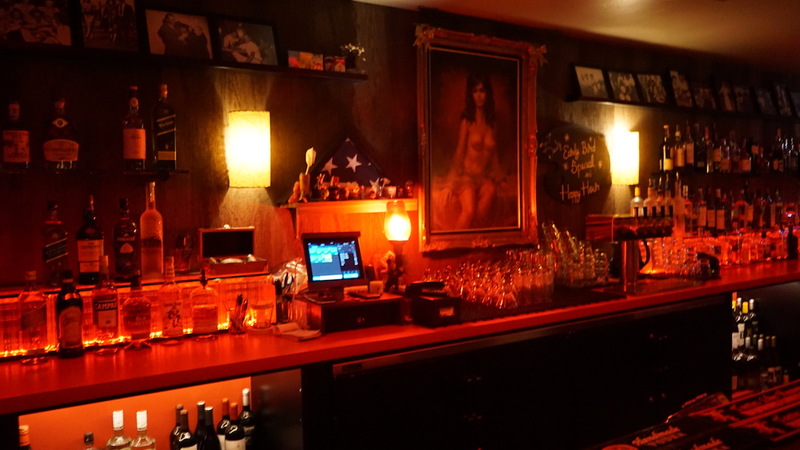 The lounge area is lit by dark red light and the bar’s focal point is a sultry painting of a lovely lady. All of the seating, outside of the bar stools, are amazing wrap around booths. 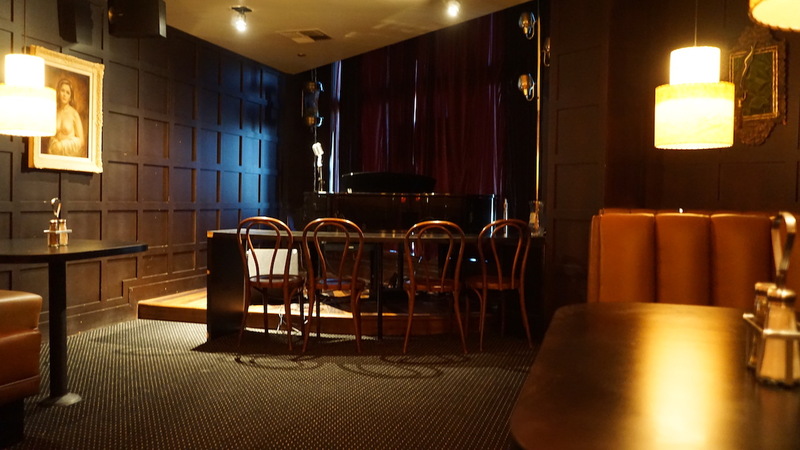 The dinning side features dark textured wall paper, low lights, and a grand piano ready for a show and a crooner. Since this is a cook-your-own kind of place, there is no real kitchen, which threw me off a bit at the beginning. Their only menu choices are what cut of meat you want – ribeye, porterhouse, filet mignon, sirloin, etc. When your plate arrives, you get your salad and bread and your steak wrapped up like it came home from the butcher shop. After unwrapping your dinner-time present, you can add some dry rub or sauce from the communal spice rack and drop it on the piping hot grill. Steak not cooked right? Back to the grill with it! Regarding the “extras” – you should definitely get the sour horseradish sauce - it was tasty and was a nice complement to the steaks. Happy Hour is from 5:30-7pm daily – for $15 you get a petite sirloin steak, salad, garlic bread, and a well cocktail. Tip: Arthur Henry’s is 21+ & cash only, but they have a free ATM right next to their free jukebox… Yes, you heard that right, a FREE jukebox. Eat your heart out music lovers.